I just returned from a visit to South Asia. Right before my visit, the tensions between nuclear rivals India and Pakistan were at an all-time high, with each side portraying the other as evil and the enemy of its people. 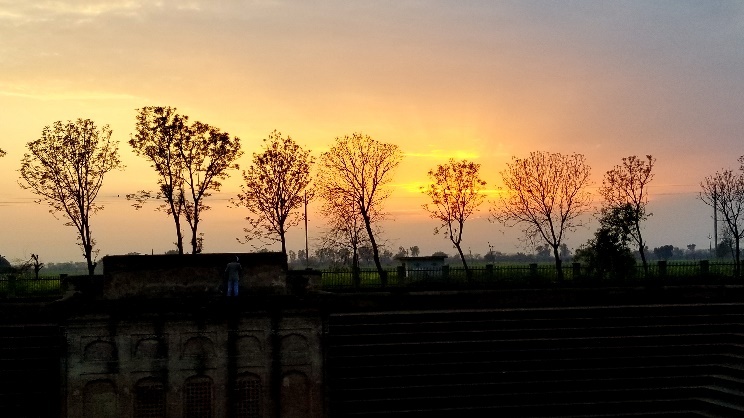 During my visit, I had the opportunity to visit the India-Pakistan border in Punjab, India at Wagah, to watch the evening ceremony of the lowering flags by both countries at the border crossing. I expected it to be a solemn event – but boy was I in for a surprise! It was a full-fledged Bollywood style extravaganza of loudspeakers and live patriotism, full-blast, being led on both sides by the border protection forces of each country. 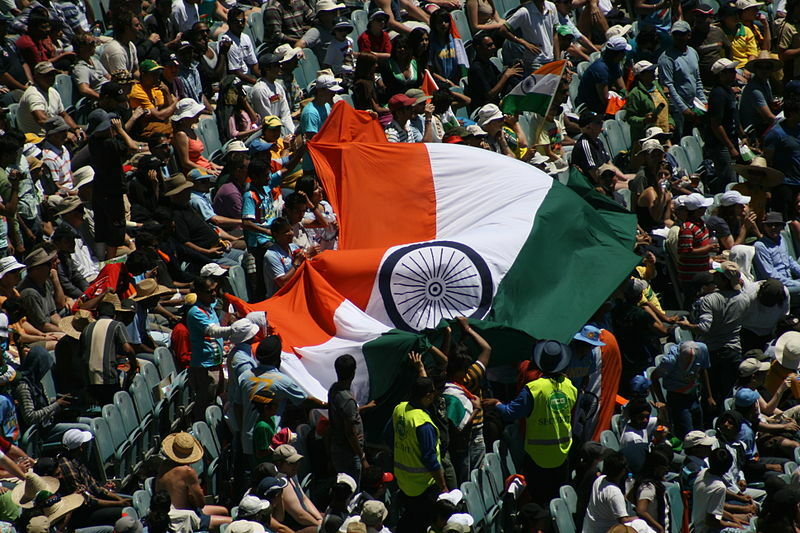 Every call from Pakistanis sitting on the other side of the fence of “Pakistan Zindabad” (long live Pakistan) had to be answered with an even louder “Bharat Mata Ki Jai” (glory to Mother India) from the Indian side – back and forth, equally dramatic. In between groups of individuals would scream obscenities at those sitting across the border, with others on the same side cheering on proudly and laughing. Each side had to drown out the voices of the other. The armed forces personnel leading the ceremony on both sides interacted with pre-rehearsed visibly confrontational postures and screams, as if they were ready to attack the other side. No wonder the crowd was emboldened into a passion of hateful patriotism. His response was a loud announcement that a Pakistani agent was sitting next to him. As a Sikh who wears a turban, I was clearly outed by my neighbor as an alleged Pakistani agent. The chorus around me grew angrier, and I decided to leave the event for my own personal safety. As I shuffled out from the crowd, I heard several people telling me to go to Pakistan so when India drops a nuclear bomb on Pakistan I can enjoy it. As I walked back to the parking lot, I imagined the same treatment being meted out to someone on the other side of the border – go to India and wait till we nuke them. This was shocking – people are so angry and upset at those on the other side that dropping nuclear bombs on the other side of a man made line of demarcation has become a joke, a way to demonize those on the other side. I have never seen such hateful patriotism in my life, although I have read of the behavior of some Trump supporters who exhibit similar sentiments. I can never forget that my own country – USA – is the only one to have used a nuclear bomb ever in the history of humankind. And this is something that we as Americans still seem to be proud of – utterly disgusting. While in Delhi before returning to America, I visited a street market for souvenirs for my kids. On the way out, I noticed a museum dedicated to the former President of India Abdul Kalam. I immediately recognized his name, as he is considered to be the pioneer of India’s nuclear arms program. Walking through the museum I noticed that his development of nuclear weapons for India was given special focus. How ironic that the land of Gandhi’s non-violence was now so proud of nuclear weapons. There is a silver lining. While extremes in both India and Pakistan have support of the government and the religious right, the vast majority on South Asians have a common future. When the wind blows, it does not matter which direction it blows in. We are all in it together. It is well known that many of the nuclear weapons of India and Pakistan are placed in the South Asian region on Punjab – which is currently divided between the two countries. A nuclear warfare between the two nations would decimate Punjab – the Land of the Five Rivers and its people. It is time for civic society in South Asia to work together towards a secure common interdependent future based on mutual trust rather than hateful patriotism.